Labour costs are putting pressure on builders as they try to keep up with demand for new homes. Ralph Dawson says 30per cent reduction in building apprentiships will hurt industry The cost of building a home in Western Australia looks set to grow as a shortage of qualified tradespeople adds further pressure across the residential construction sector. A decline in apprenticeship starts, coupled with a significant increase in home construction activity during the past 12 months, is stretching the sector’s capacity to cope with demand. Figures released by the Australian Bureau of Statistics this week revealed a 1.5 per cent increase the price of newly built homes in the June 2013 quarter. The Housing Industry Association said that ‘modest’ increase in the cost of new homes did not yet reflect inflationary pressures in residential construction costs, but industry stakeholders are warning of rising costs stemming from a lack of new workers in the residential construction industry. Just over a year ago (June 2012) the number of new home builds starting in WA was 45 per cent less than the number recorded in June 2013. That’s putting pressure on the construction labour market, and the latest Trades Report from the Housing Industry Association shows Perth is already experiencing a small shortage of tradespeople. In line with that, the price of hiring trades workers increased by 7.5 per cent in the year to the end of June. HIA senior economist Shane Garrett said those costs were likely to keep rising if the revival in the housing sector continued, and would adversely affect affordability. Perth is the only region to have a shortage of workers, and Mr Garrett said unemployed workers from other states would hopefully make up the shortfall, but that would only be a temporary fix as the national residential market recovered. "We do have a bit of a surplus (of workers) in many parts of the country at the moment but activity is starting to bounce back in the nationwide market," he said. "Once that takes place the surpluses are going to be eliminated quite quickly, and we're worried about the pipeline of new people entering the trade sector and the industry not being able to respond quickly enough to the higher level of activity." Mr Garrett said there had been a "lazy assumption" that mining workers would naturally slot into residential construction in WA, but that wasn't necessarily the case as the skill sets had some significant differences. Construction Training Fund executive director Ralph Dawson told Business News apprenticeship commencements had fallen significantly in recent years. "The issue for us is that in the last two years there's been about a 30 per cent reduction in apprentice commencements because the industry's really been in the doldrums, so we've got far less apprentices in training than we really would have wanted at this point," Mr Dawson said. "We're not experiencing skills shortages just at the moment, but we certainly will be when things pick up if we don't see a big increase in apprentice commencements in the near future." The training fund had increased its subsidies across all trades to $1,000 to encourage builders to take on apprentices, as well as an additional $4,000 boost for apprenticeships in wet trades such as bricklaying, which were typically the first to experience shortages. Master Builders Association housing director Gavan Forster said there was already a shortage of bricklayers in WA and shortages in other trades were bound to follow as the revival in the home building market matured. "We would anticipate that over the next three to four months there would be quite a high demand for plasterers," he said. 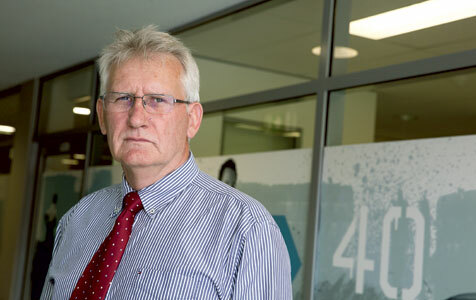 Mr Forster said the number of apprentices entering the industry wasn't enough to replace the ageing workers retiring.